It all starts with suppertime, and no spaghetti sauce. One thing leads to another and before you know it, I am up to my bunny ears in....well just read the story and you will see. This is the finalized print version, which can be purchased in paperback or Kindle format from these links: Amazon.com or My E-Store. I have a lot of relatives. They all decide to come and visit me for Christmas, so I have a lot of work to do. But there is one thing I did not count on...oh dear. The mess in my house is just too much. I am fed up! Time to get out of here and go on a boat trip. Around every bend lurks another unexpected happening. Come along for the ride...I could use some cheering up! My poor Pea Pod. It has gone to rest at the bottom of the stream. Time for a new boat...but yikes! I don't have nearly enough bunny money to buy one. Come with me while I hop from one catastrophe to another. Will I ever find a job? I like to go shopping. But I do not bargain for what happens next! So much to do and not enough time! Hurry Hurry! Out of my WAY! And CLEAN UP YOUR MESS!!! I do not like gloomy clouds. Especially when they float right over my head and won't go away. Nothing seems to chase them away...until I get an idea. But no one is cooperating! Why is everybunny so busy??? Sting Bean was minding his own business one day when out of the blue he gets a DISTRESS SIGNAL. Someone needs him NOW. Boy is he in for it. It is especially windy this autumn... and the stream is full of leaves. Pea Pod will not budge. During the election season in Bunny County, a lot of dangerous solutions are proposed. 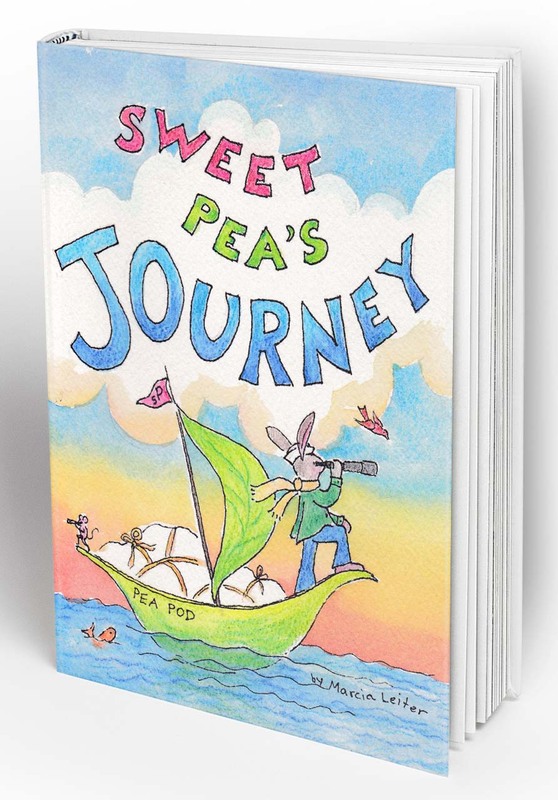 Will Sweet Pea get up the nerve to do something about it?